Divine bushings is een onderdeel van Restless Longboards. Divine skateboard longboard Bushings zijn verkrijgbaar in meerdere varianten. It all began on a legendary night in the spring of 2000. The idea started with a jigsaw, an old snowboard, a beat up set of wheels and a rusty pair of trucks. The board that was created that night would profoundly change our lives forever… Restless boards was born. Since then, many things have changed, but one thing has remained a constant, a passion for the sport of longboarding. This passion runs all the way from the founders, through our team of riders, and can be seen on all our boards. 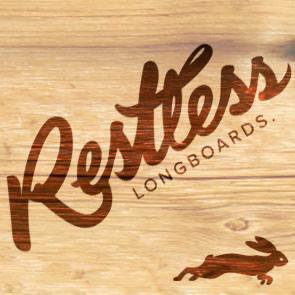 Today, fuelled by this passion, Restless has proudly established itself as one the world’s elite longboard brands. At Restless boards, we pride ourselves in creating decks that allow all riders to live a one of a kind experience, whether they are looking for a smooth city cruise or an adrenaline driven speed rush. To achieve this objective we have put an emphasis on quality, performance and aesthetics of our products. We view our boards as rolling canvases. We push the limits of our sport whilst promoting local materials, riders and artists. Promoting local materials, riders, artists and striving to be environmentally friendly have been the guidelines throughout our creative process. Our boards are made with 100% hard Canadian Maple and entirely designed and manufactured in North America. We view our boards as a rolling canvas. Compromise is never an option when it comes to the quality of our graphics. Hence, all our designs are done through various artist collaborations. Setting a new standard for the industry.